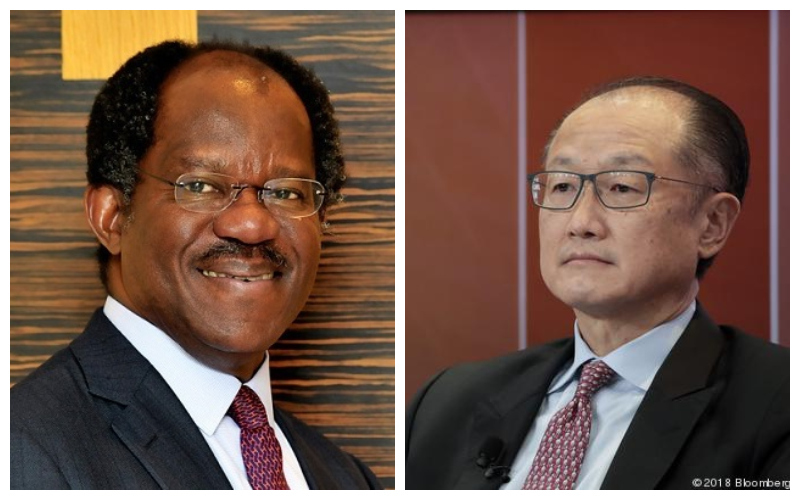 After resigning as the World Bank president, Jim Yong Kim has announced that he will join investment firm, Global Infrastructure Partners (GIP), chaired by Nigerian investment guru, Adebayo Ogunlesi. GIP, a company that manages over $48 billion in assets for various investors across the world, will take on Kim as a partner and vice chairman on February 1 after his shocking resignation on Monday, Reuters reports. Shortly after tendering his resignation, there were talks that the former World Bank leader was in discussions to join the global private equity firm based in the United States. Reuters reports that the said discussions between the two began about six weeks ago at the G20 summit in Buenos Aires. The World Bank chief resigned three years ahead of schedule and indicated that he will join a firm involved in infrastructure investment. “The opportunity to join the private sector was unexpected, but I’ve concluded that this is the path through which I will be able to make the largest impact on major global issues like climate change and the infrastructure deficit in emerging markets,” Kim had said in a note to staff on Monday. Established in May 2006, GIP’s equity investments are in infrastructure assets in the energy, transport and water or waste sectors. It employs about 150 investment and operational professionals and has offices in New York, London, and Sydney, as well as, operational headquarters in Stamford, Connecticut. The firm has also made two additional airport investments: the October 2009 acquisition of Gatwick Airport, the second largest airport in the United Kingdom by passenger traffic, and the 2012 acquisition of Edinburgh Airport. Kim would be working closely with Ogunlesi, the chairman and managing partner at the firm, who was hitherto head of Global Investment Banking at Credit Suisse. The Nigerian-born, U.S.-based was, in 2016, announced as a member of Trump’s Strategic and Policy Forum charged with advising the president on economic matters, but this forum was later disbanded. “Dr Kim’s broad knowledge base along with his first hand, comprehensive experience of working with governments and institutions around the world will provide very valuable insights. The 65-year-old Nigerian lawyer and investment banker, who is an independent director of Goldman Sachs Group, Inc., is from Sagamu, Ogun State. His father, Theophilus Ogunlesi, was Nigeria’s first professor of medicine. Ogunlesi schooled in Nigeria before heading to Oxford University, where he graduated with a First Class Honours in Philosophy, Politics and Economics. He also graduated from Harvard Law School in 1979 and later got an MBA from Harvard Business School. Ogunlesi began a banking career with Credit Suisse First Boston (CSFB) from 1983 and later became its executive vice chairman. There, he advised clients on transactions and corporate finance in North and South America, the Caribbean, Europe, the Middle East, Africa and Asia. Before this, he worked as an attorney in the corporate practice group of the New York law firm, Cravath, Swaine & Moore, as well as, a law clerk to Associate Justice Thurgood Marshall of the United States Supreme Court. As a lecturer, he taught a course on transnational investment projects in emerging countries at Harvard Law School and the Yale School of Organisation and Management. For someone who does not lose ties with his home country, he served as an adviser to Nigerian governments, including the administration of former President Olusegun Obasanjo. Nicknamed “The Man Who Bought Gatwick Airport”, Ogunlesi’s firm, GIP, also owns Edinburgh Airport, which it bought in 2012, and Nuovo Trasporto Viaggiatori – Europe’s first private open access operator of 300 km/h (190 mph) high-speed trains – which it bought in February 2018.